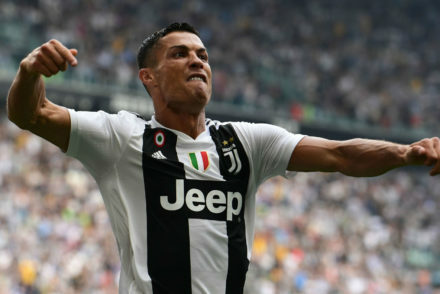 Over the summer there was a frenzy in Turin as Juventus signed the most well-known player in the world – Cristiano Ronaldo. The Portuguese is a serial Champions League winner having won the tournament once with Manchester United and on four separate occasions with Real Madrid. Ronaldo’s move resulted in Juventus being among the favourites for plenty of trophies when it came to football betting. Although his start to life in Italy has been slow, playing four times for the Old Lady scoring two goals, making one assist and picking up a red card in the Champions League victory over Valencia. This slow start has caused some fans to get twitchy about Ronaldo’s chances of success at Juve, but there’s no need to worry, and here’s why. After 12 games in La Liga last season Cristiano Ronaldo had taken a total of 55 shots in the league, scoring only four times. Supporters at the Bernabeau were beginning to think that the Portuguese was finished, suggesting that his long-standing knee injuries had taken their toll on his performances. Zinedine Zidane stuck with Ronaldo and his faith was repaid as he scored in every round of the Champions League as he led Real to another European final. In the second-half of the season Ronaldo recorded a goal at an average of one in every 3.6 shots. His poor performances in the opening half of the season were attributed to a lack of rest, as Zidane simply didn’t have the striking options available to him to rotate Ronaldo. With the memory of the World Cup still fresh in our minds it is pertinent to remember that Cristiano Ronaldo is entering the twilight of his career and may well be fatigued. Whilst Spain may produce some of the best sides in Europe, the division is incredibly top heavy with Barcelona, Real Madrid and Atletico Madrid being light-years ahead of the rest of the division. 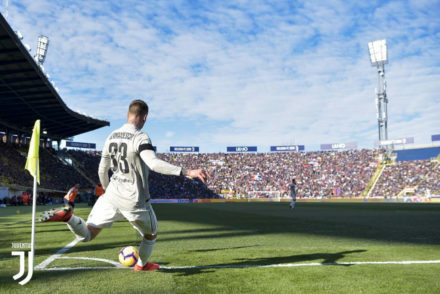 Scoring 50 goals a season in Spain is far easier than doing that in Serie A, where the competition is more equal and most sides place a strict emphasis on defence. Indeed before Cristiano Ronaldo moved to Real Madrid, he was at one of the biggest clubs in the world, Manchester United, but never managed to score 50 goals a season as the competition in the Premier League was so strong that the Red Devils rarely scored more than 3 goals in a game. That’s what Juventus legend Ciro Ferrara thinks as well, he reckons that Ronaldo will notch around 25 goals this season for Juve, citing the tactical nous and defensive solidity of the teams in Serie A as the reason. Juve are one of the favourites for the Champions League, although Cristiano Ronaldo will have to come good for Juventus if they are to succeed. He has a proven track record in the Champions League and he’ll be hoping to add to his impressive trophy haul so far. 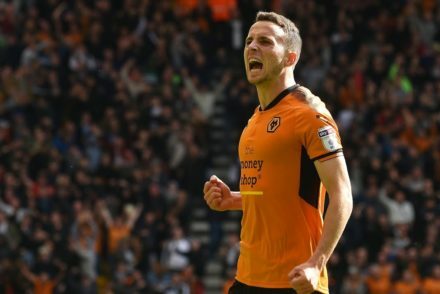 In last season’s win over his current employers, he slammed in a last-minute penalty in the second-leg to seal the win after scoring a sumptuous overhead kick in the first-leg. The Portuguese may take time to warm up but he will still be a firm favourite with the bookies to finish top scorer in both Serie A and the Champions League this term.